There's no denying we love burning a scented candle at night after a long day—but ever since we found out that this self-care habit might be bad for our health, we feel a flicker of guilt every time we bring a match to the candle wick. As we slowly try to fade off this not-so-great habit, we're picking up a new one: aromatherapy diffusers. Using only water and essential oils, this new alternative gives us all the relaxing aromatherapy we need without the harmful acetone, benzene, and toluene emissions from standard candles. We love our new self-care habit: The energizing scent of lemon slowly misting away at our desks and the soothing aromas of lavender lulling us to sleep are enough to get us hooked—not to mention the humidifying properties are a bonus. But between meditating lights, speed functions, and tank sizes, choosing the right aromatherapy diffuser for our needs can be tricky. 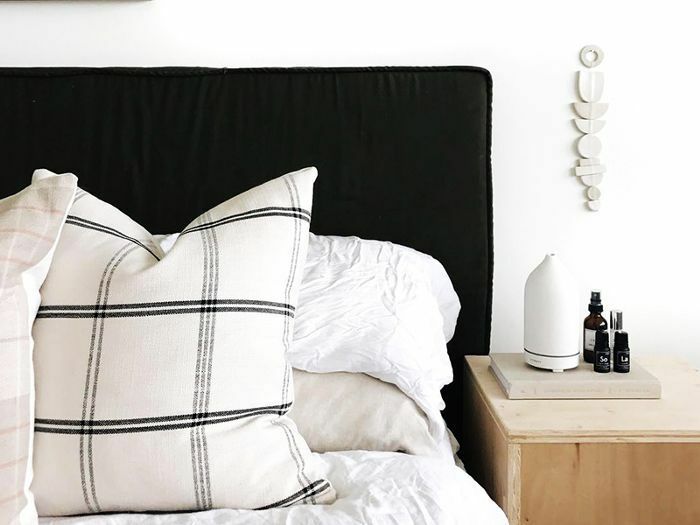 So we asked four MyDomaine editors to test and review their diffuser with all their bells and whistles (or lack thereof), so you can pick the right one. From the highest to lowest ranking, here are our favorite aromatherapy diffusers to keep you zen. Sleek charcoal black porcelain with an artisanal design as if it's been handblown. I love the aesthetic of this diffuser. It's so unassuming. You'd never expect that it is a diffuser at all from first glance. It could just be a sculptural detail on my side table. It also has a very soft mist that dissipates the oil fragrance through our apartment without overpowering the space. I have had some that just take over our small room, and they do the opposite of what they're meant to do. Not only is the Vitruvi calming to inhale, but it's also soothing to look at as it pushes the smoke-like mist into the air. So easy. You lift off the porcelain top and the little lid of the internal canister, and then you add water to the refill line with about five drops of essential oils. Put it back together, and turn it on. It begins immediately. Just be careful to put it in a safe place where it can't be bumped. My first Vitruvi was knocked over by our son, and it doesn't work without the porcelain cover. It's small, but it has good mileage for its size. It says 7.5 hours on the website, and I'd say this is an accurate estimate. It's enough to keep the house fragrant and calm without dominating the space. If you want it to go longer, then you will need to buy a bigger diffuser. It's more on the pricier side at $119, but the aesthetics and the ease of function are worth it. Sleek charcoal black porcelain with an artisanal design as if it's been handblown. I love the aesthetic of this diffuser. It's so unassuming. You'd never expect that it is a diffuser at all from first glance. It could just be a sculptural detail on my side table. It also has a very soft mist that dissipates the oil fragrance through our apartment without overpowering the space. I have had some that just take over our small room, and they do the opposite of what they're meant to do. Not only is the Vitruvi calming to inhale, but it's also soothing to look at as it pushes the smoke-like mist into the air. Confession: I own two diffusers. The Vitruvi (above) sits on my nightstand at home. 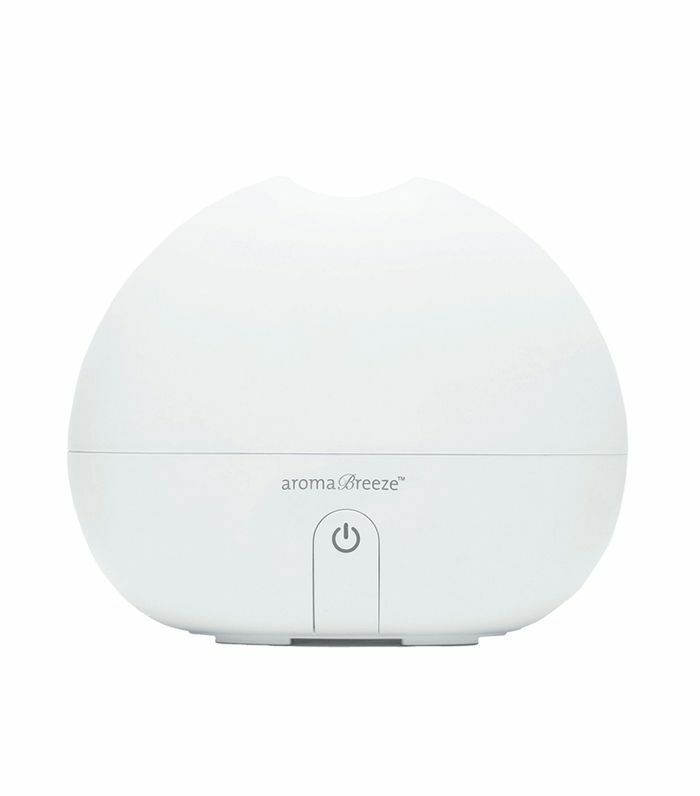 This AromaBreeze diffuser is by my side on my desk at work. While the look of it is a bit bland, it's minimal, and it takes up very little room. Its discreet-and-compact nature makes it the perfect cubicle accessory. I find this diffuser much easier to use than my other one. It only has one function: on or off, the top lifts and closes easily, and the tank shape makes it easy to pour directly from my water bottle. I never spill with this diffuser (something I can't say for the other one I have at home). It's as quiet as a whisper, it's heat free, and it has an auto shut-off option. It even doubles as a mini humidifier. Sure, it doesn't have all the bells and whistles like light effects or mist modes, but I actually prefer that, especially in a work environment. While this diffuser is tiny, it surprisingly has a runtime of seven to 10 hours—so it lasts my entire work day. The large tank and slow release keep me zen and hydrated throughout the day without the smell ever feeling overpowering. I love the look of this diffuser. It's sleek and modern, and I appreciate the neutral color palette. The one thing I'd say about the design is that this diffuser is pretty big. It's too large to put on a table or a desk, so you need to make some space in the corner of the room for this one. I love all the function options on this—it has a soft light, a bright light, and even a light for mediation that slowly fades between the bright and dim lighting for a really relaxing experience. You also have one, two, and three-hour options for the mist, as well as a high mist or low mist option. 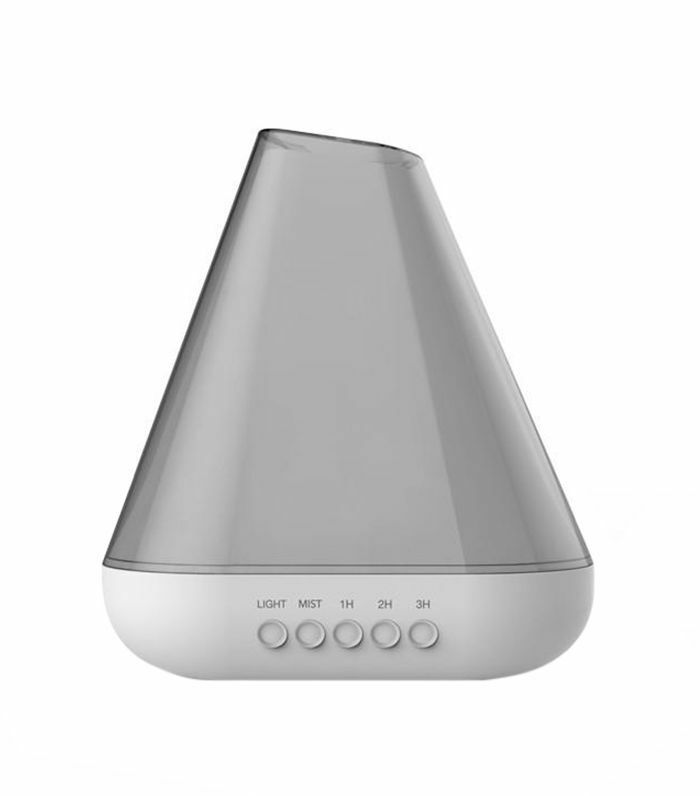 You can really customize your aromatherapy experience with this diffuser, which I love. For a diffuser this large, you would think that the tank would be bigger and that it would be able to run for a longer period of time, like say eight hours if I wanted—the maximum on this is three hours. 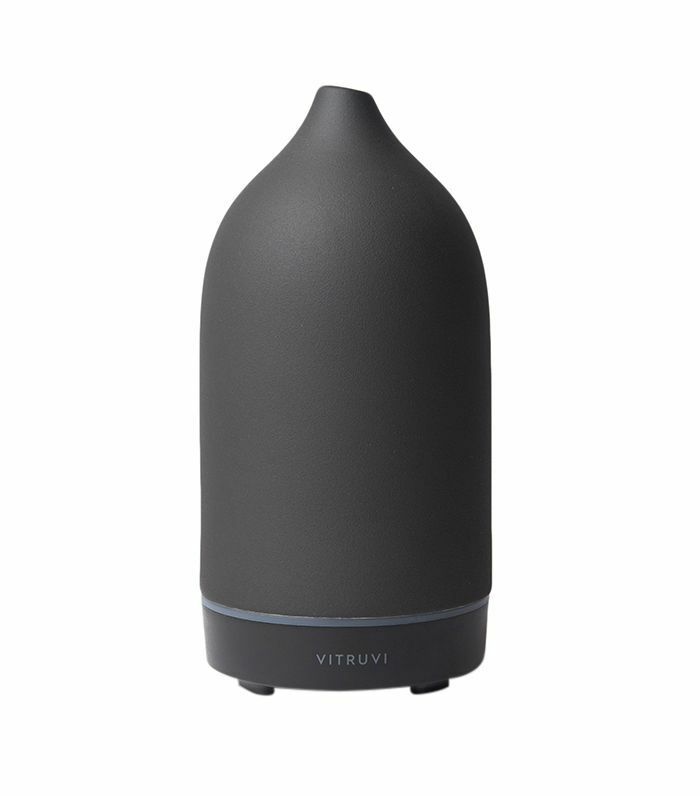 This diffuser retails for $60, and I personally think that's a great price, given the all of the features. It's super powerful, and it immediately starts filling the room with scent, so I feel like it's worth the price tag. I'm not usually a diffuser user, but Zoe paired perfectly with the other white and wood furniture in my bedroom, so I fell for the design first. It doesn't look like a typical diffuser—people often think it's a bedside lamp. It's pretty easy to use, but I wish the water chamber could be detached. My only other feedback would be to increase the range of the remote. Technically, I should be able to turn it on and off from bed, but the remote only works when I point it directly down at the unit (which defeats the purpose of a remote). That might only be my unit, though! This lasts for hours and hours. The tank size is much larger than other diffusers I have seen. 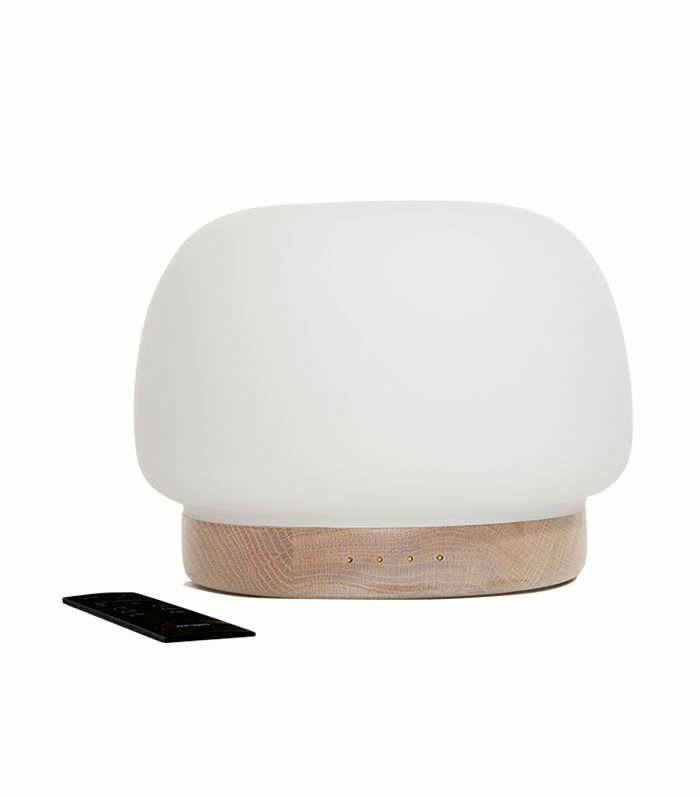 It retails for $120, which is much more than I'd like to pay for a diffuser. Admittedly, it does also function as a "meditation light" and has three mist modes, but I only really use it for the basic aromatherapy function. And now, five essential oils for concentration that will improve memory and focus.